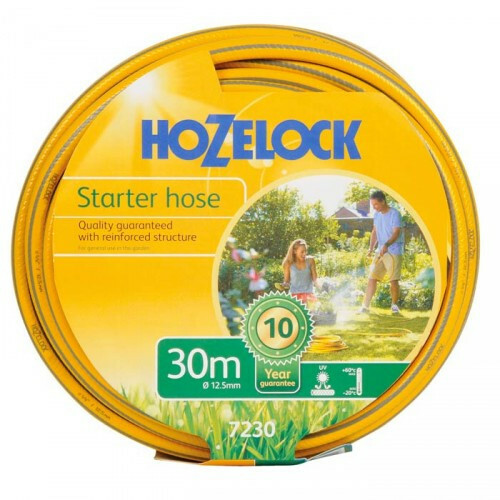 The Hozelock Starter Hose is a good quality general purpose braided hose. The hose has four layers, a smooth PVC inner layer to allow maximum flow, a thick PVC layer to add strength, a braided polyester layer to stop expansion of the hose and a tough PVC outer layer. A 30 mtr General-purpose, hard wearing hose with a 4 layer braided reinforcement.